Caption: A moment after the bombardment of the convoy by the Georgian aircraft on the road from Tshinvali to Russia. 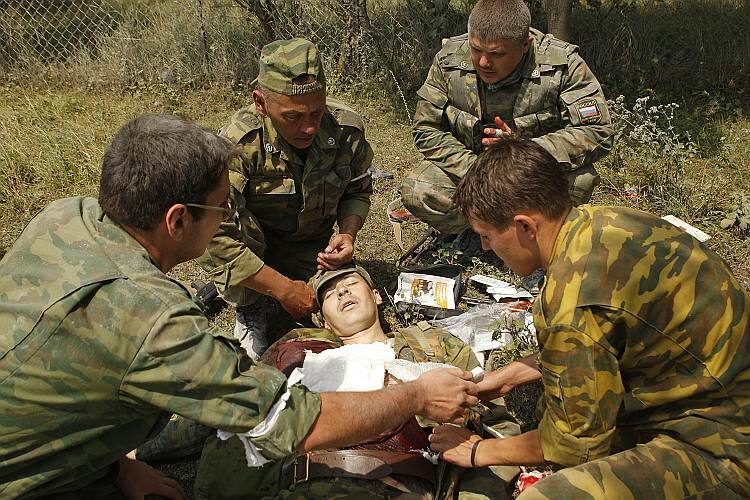 First aid being given to a wounded Russian soldier. Monday August 11, 2008.